We think that LatterDayBride and Prom presently has the biggest selection of glamorous, conservative prom dresses. The site's home page will likely have photos of wedding dresses, but click on the "prom" link at the top of the page to find fit and flare styles, ballgowns, A-line dresses and more. 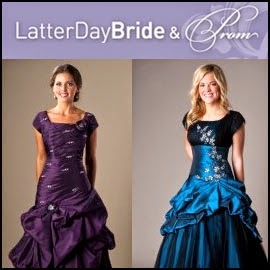 We also have great modest prom dresses at www.virtuousprom.com!